What do you do with yourself when youâ€™ve been diagnosed with bone cancer and given nine months to live? If youâ€™re Myra, you tackle it all with great gusto: you survey an assortment of natural burial sites, you give your husband and two daughters a Powerpoint presentation about your funeral and you buy your flatpack coffin then paint it. Sounds gloomy? Colder Than Here is frequently poignant, but it is anything but gloomy. â€œYouâ€™ve got to keep yourself busy when youâ€™re off work with dyingâ€. And gradually, Myraâ€™s example and encouragement help them to deal with the crises affecting their own lives, as well as the much larger crisis affecting Myra. 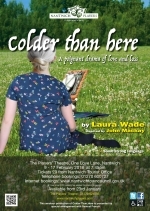 Directed by John Mackay, performances will be at 7.45pm on 9th â€“ 17th February, 2018. 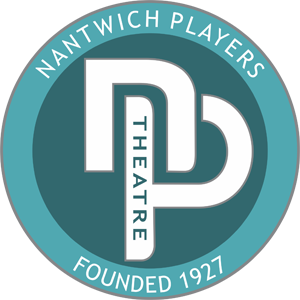 Tickets priced at Â£9.00 will be on sale from Nantwich Tourist Office (01270 600727) or on-line at www.nantwichtowncouncil.gov.uk from Tuesday 23rd January 2018. Priority tickets for our VIP Supporters go on sale Saturday 20th January at the Theatre. To find out more about becoming a VIP Supporter visit the membership section of the website. Members of the Nantwich Players can audition for this production on Tuesday 7th November from 7.45pm. Details will be available in the Newsletter and the website.